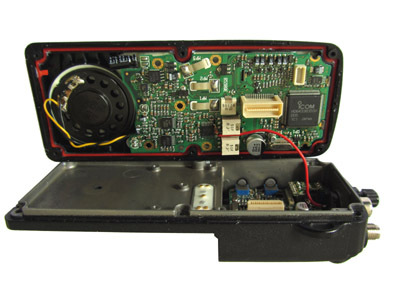 Some mechanical work is needed to provide the Icom IC-M1EURO V or identical IC-M1V with a discriminator output. 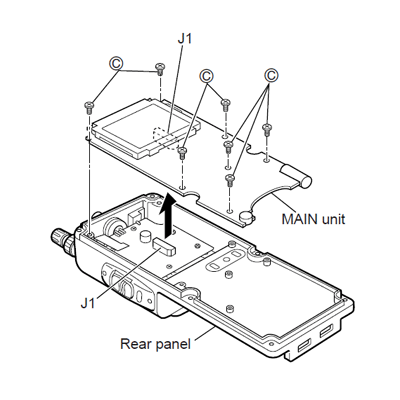 The Main Unit can be detached after removing 7 silver coloured screws (C). 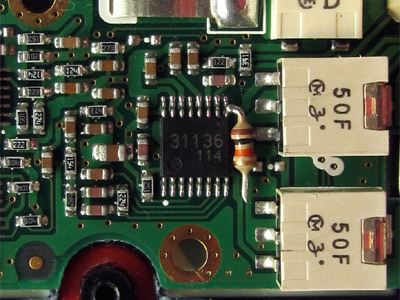 The receiver IC, a TA31136, can be found on the bottom side of this circuit board. 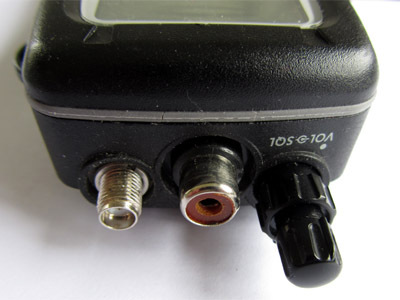 The VHF set can be opened by unscrewing six screws at the bottom side: 2 long ones (A) and 4 short screws (B). After this, the two halves can be separated. Also unplug the loudspeaker connector. I have reused the microphone connector for the discriminator output. The RF unit needs to be detached as well. Remove the volume and squelch knobs. 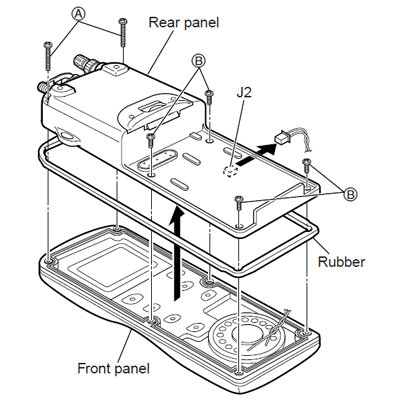 Loosen washers F, G and H. Remove two silver coloured (D) and two black (E) screws, as well as screw J at the bottom side of the device. Next, the RF unit can be taken from the housing in the direction of the arrow. After desoldering the microphone socket, I have removed its 4 contacts and drilled the inside of the socket, so that the threaded outside and washer remains. In the hole created, I have mounted a cinch socket and used hot glue to fix it to the former microphone socket. 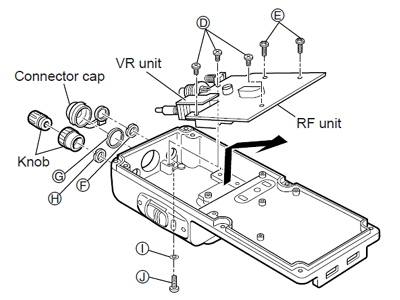 This combination is mounted in the device's enclosure, after which the RF unit can be replaced. The ground lug of the cinch socket can be connected to the device's ground by a short piece of wire. The receiver IC is a TA31136. 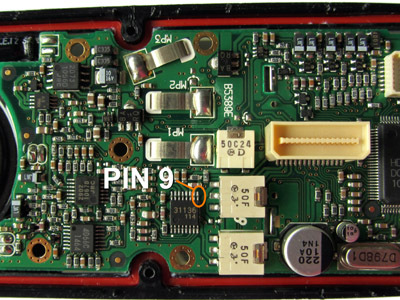 The baseband signal can be found om pin 9. A 10 k resistor is connected to this pin. The resistor's other lead is connected to the centre connector of the	cinch socket mounted earlier using a piece of insulated wire. For an optimal result, the squelch should be open, i.e. completely counter-clockwise. If not, the receiver activates a battery saving mechanism when no signal is being received, so that you may miss (the very short) AIS transmissions.